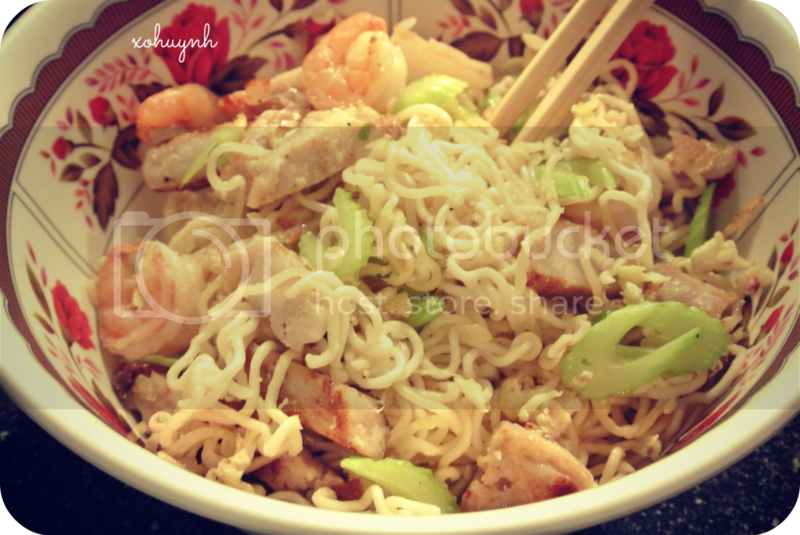 This post will be dedicated to all you guys that are on a budget and living off of instant noodles. I'm going to show you guys how to fancy up instant noodles & turn it into stir fry when being broke. This is great for using left overs and to change up the soup routine. 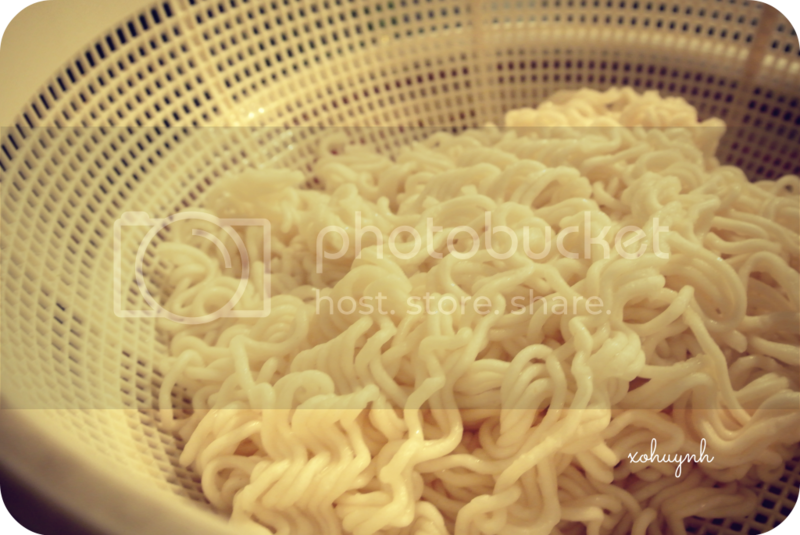 First you need to soak the noodles in boil water. 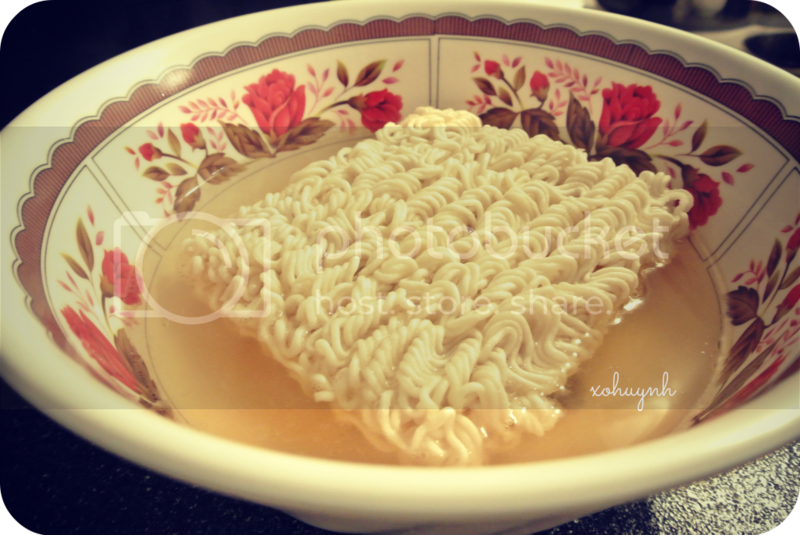 If your instant noodle pack has a soup base like that oily packet thing, add it. I like to think it gives the noodles flavor. Drain noodles & set aside. Prepare what ever you want to add to the stir fry. I had some celery left over & those cake thingy lol. I also found some shrimp in the freezer. I seasoned it was olive oil & salt & pepper. Ok, this is where the real cooking starts. Add some oil in a non stick pan on medium heat. 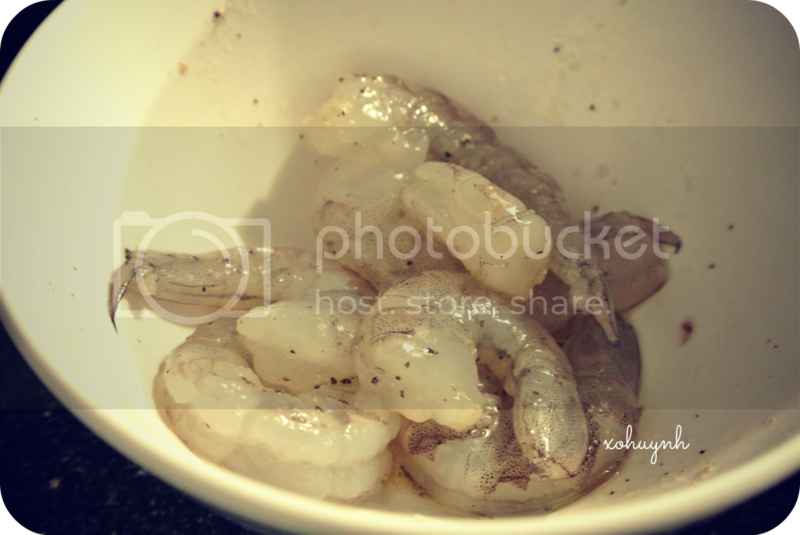 Cook the shrimps. 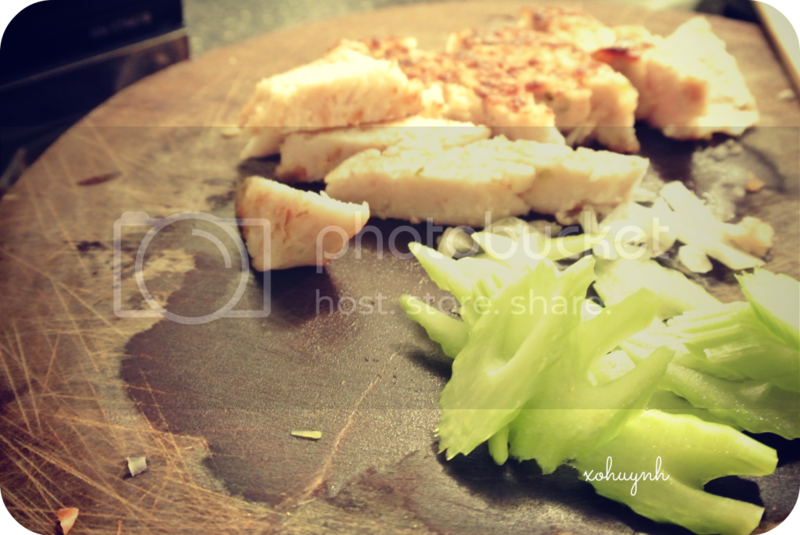 Than add celery and taro cake? and stir fry. 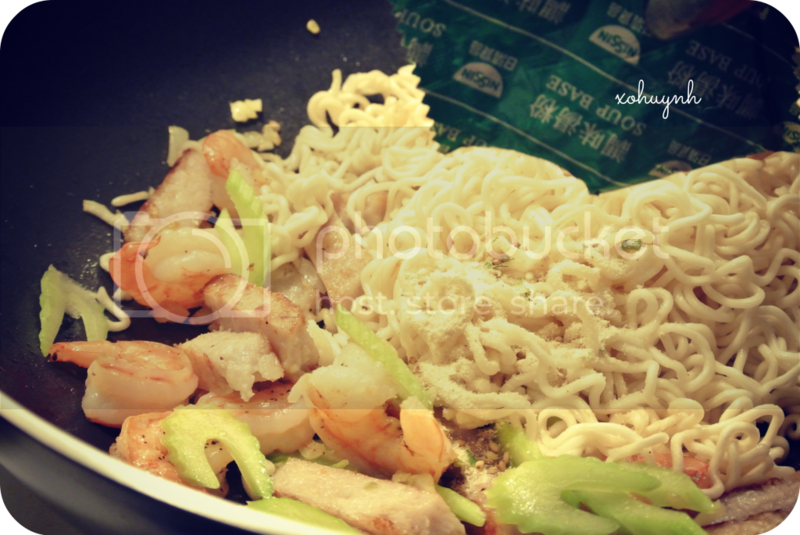 Add the instant noodles & stir fry for a couple of mins. For seasoning, use the powder season soup base packet. I recommend adding half of the packet at the most because in my experience, it can get really salty. 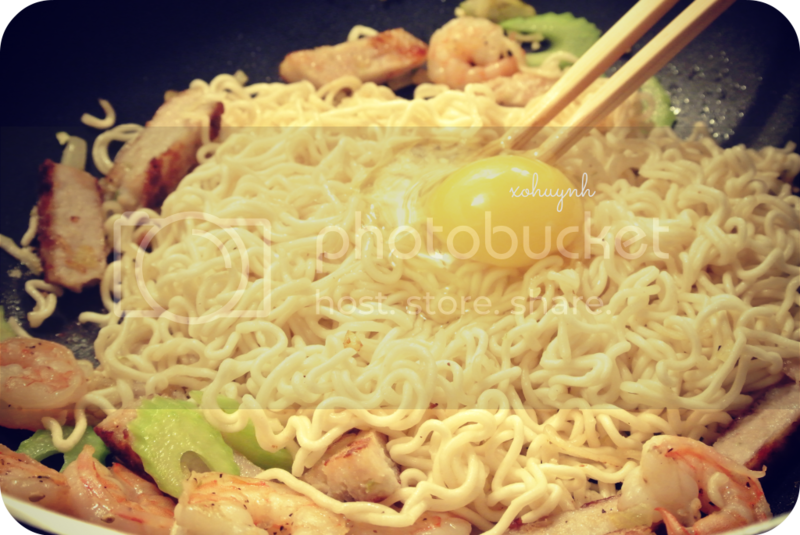 Once everything is mixed and seasoned to your liking, add the egg and stir fry till the egg is cooked. I recommend trying different brands of instant noodles and different ingredients to invent your favorite flavor or whatever. My favorite combo, it actually using the pork flavored Mama brand with pickled cabbage and eggs.